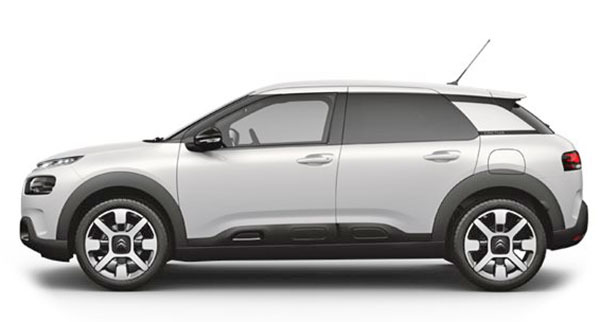 Citroen will modify their super cool Cactus model for 2018 in order to make it more mainstream. I understand that "mid-cycle face lift thing. To boost sales after a few years on the market. But if there is one thing Citroen shouldn't do, is get more mainstream in their designs. They did it a few years ago (for many years actually) and it didn't work. Nobody wants a boring looking Citroen. It's like asking for a slow Ferrari. The updated model is the picture above. And it looks like it lost its fun looking (and practical) air bumps. By they way, I did drive a Cactus in Europe a few years ago. (HERE) And I thought it was great! That lumpy panel never looked good. It was like some stick-on crap from the JC Whitney catalog. How about a simple yet effective strip of bodyside molding. Whatever happened to that? I like it a bit more without the soiled maxi-pad sticking to the side. The 1100 miles Electric Bus! Mercedes EQ A concept teaser.